Kick off your weekend with breakfast at Rudimentary, which is a 13-minute walk from your student accommodation. Stock up on incredible fresh produce at Footscray Market, then meet friends at Newells Paddock Wetlands for a picnic or barbecue. For a change of pace, take the 30-minute train ride to hit the shops at Melbourne Central and dine on noodles and dumplings in Chinatown. Head home in time for open mic night at Dancing Dog Café. 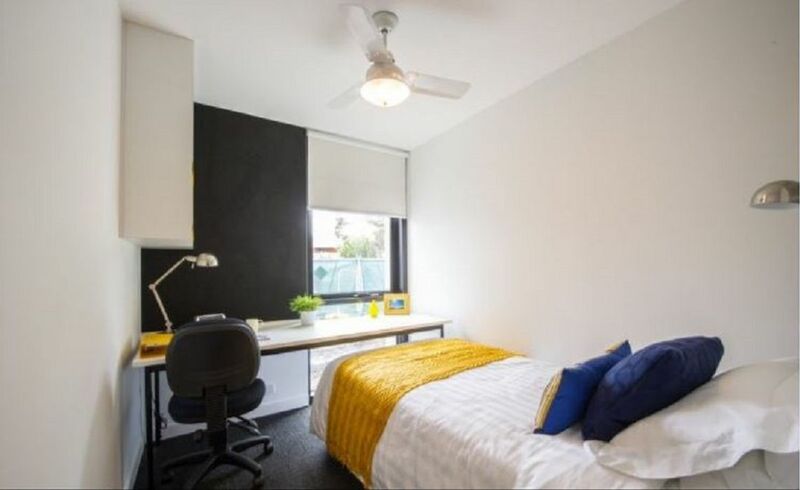 Your student housing in Melbourne is right across the road from Victoria University Footscray Park, so you can get to lectures in a couple of minutes. The Footscray Nicholson Campus is a 20-minute walk. Footscray train station, along with tram and bus links, is right next to UniLodge @ VU, so it’s easy to travel around the city. 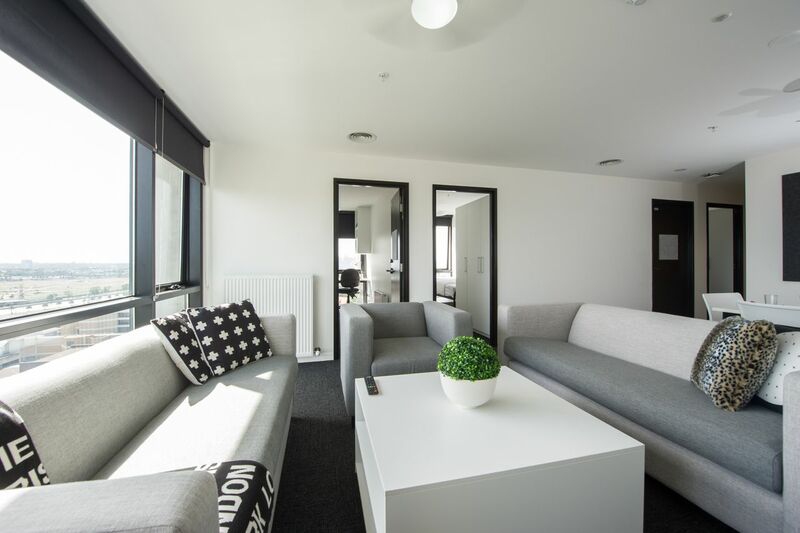 Choose from a range of accommodation options, including shared rooms, shared apartments and studios, all of which are fully furnished, with bills included. 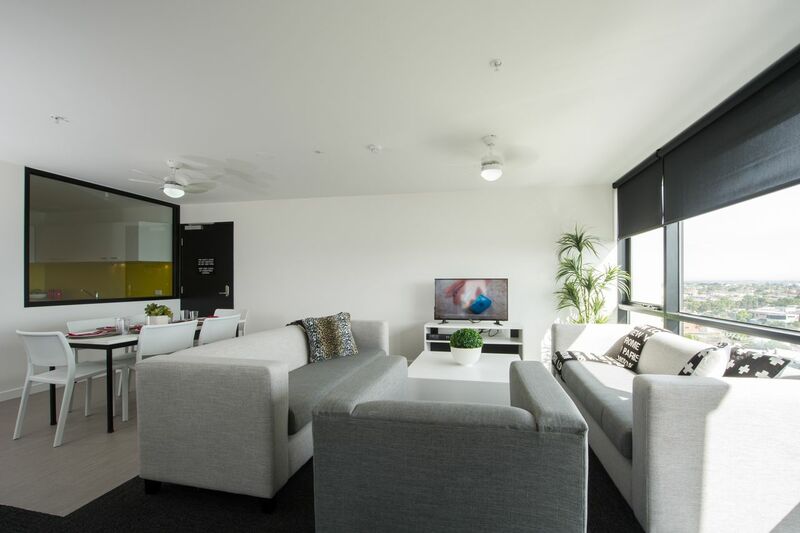 You have a Wi-Fi allowance to keep you connected, and there’s secure access, CCTV and a night patrol for your peace of mind. There are regular social events to help you make friends, and there are lots of social spaces to hang out, including a cinema, cafeteria, basketball court and outdoor area, as well as a study area. There’s also an on-site grocery store so you won’t run out of essentials. Wir haben leider keine Unterkunft gefunden, die deinen Wünschen entspricht.Alle Mehrbettzimmer in UniLodge @ VU ansehen. Wir haben leider keine Unterkunft gefunden, die deinen Wünschen entspricht.Alle Privatzimmer in UniLodge @ VU ansehen. Wir haben leider keine Unterkunft gefunden, die deinen Wünschen entspricht.Alle Ganze Wohnung in UniLodge @ VU ansehen.